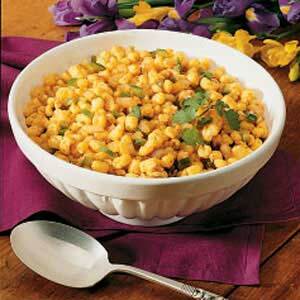 I love the taste of hominy. This recipe is especially tasty. In a saucepan, saute onion and green pepper in butter until tender. Add the remaining ingredients. Cook, uncovered, over medium-low heat for 5-10 minutes or until heated through, stirring occasionally. Yield: 4-6 servings.